Do you practice (rec) like you play (tourney)? 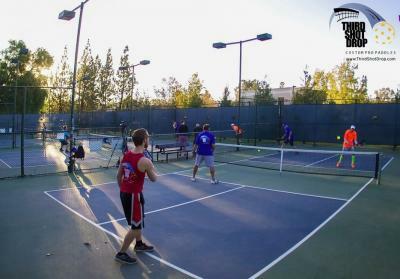 I think most pickleball players do NOT play recreational games the same way they play in tournaments. Yes, you are out there playing rec. games with your friends on a social level. The only problem is you might be learning bad habits when you are only giving 50-75% during practice. 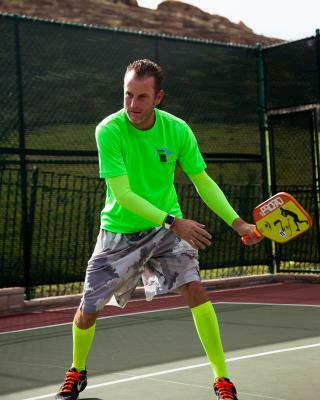 Want to become a better pickleball player? You have to be willing to expose your weaknesses rather than trying to hide them. To strengthen those weakness you need to repetitively practice them until they become strengths. Here are some of our favorite drills you can do on a weekly basis. We are sure that your game will improve by putting in the work. 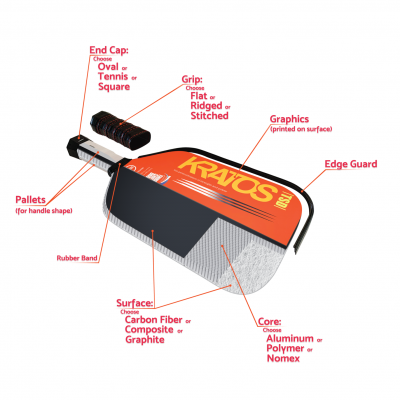 Is practicing (drilling) part of your tournament preparation? 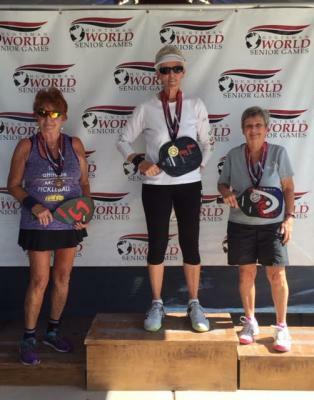 I think most pickleball players will answer the question with a “No”. 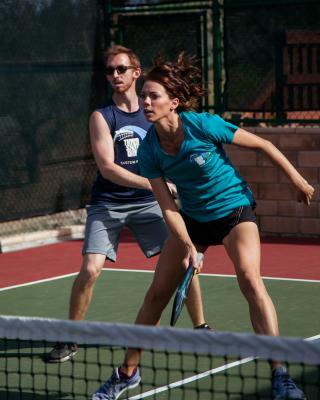 In my experience playing pickleball socially and competitively, I have seen that most players “play” more than they “practice”. 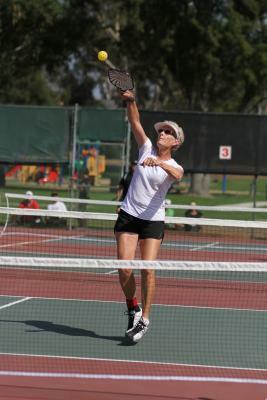 Is it a pickleball thing? 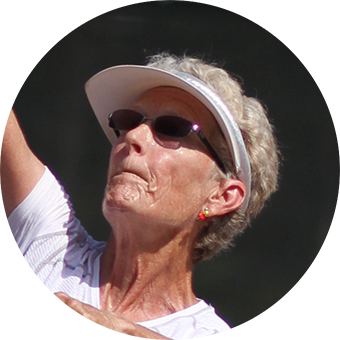 Maybe….. Probably…..
PAT’S PICKLOSOPHY TIP #4 "THE DIFFERENCE BETWEEN WINNERS AND “OTHERS” IS IN HOW YOU PREPARE FOR YOUR MATCH"
Many competitive players enter the court for their match with little or no thought to conditions of the weather, courts, and type of ball. IF CONDITIONS ARE NOT IDEAL, LOSERS COMPLAIN AND WINNERS ADJUST! This is Ashley Roberts and I’m here to help you get Pickeball Fit. You are on the courts, you are competing (recreationally or in a tournament); you are competing and therefore, you are an athlete. So you better act like one! You better train like one! Today we are going to talk about Reaction Time. Many players (including pros) don’t understand what’s in a paddle so they don’t really know that a core or surface really is and WHY it makes a difference to THEM. It’s not about the type of core or type of surface- it’s about the notion that there are different materials that affect the way their paddle performs and we are the ONLY company that offers this to every player. How important is the mental game when it comes to playing in tournaments? I think most pickleball players may not know the answer to that question. For me the answer is very simple. I come from a competitive tennis background and in tennis the mental game is very important and usually the difference between winning and losing. 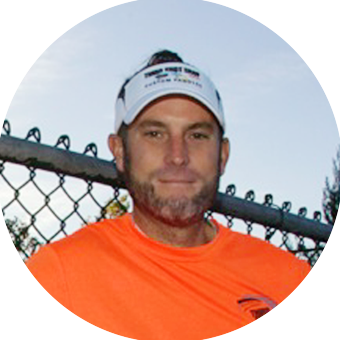 PAT'S PICKLOSOPHY TIP #3 "MASTERING THE DROP SHOT"
Training is extremely important and should form an integral part of an athlete’s daily routine. Creating good habits and developing muscle memory is so important in having consistency in your game. Now that we have learned what the core is and how to use it to maximize our body mechanics, let’s now look at our footwork. Many players (including pros) don’t understand what’s in a paddle so they don’t really know that a core or surface really is and WHY it makes a difference to THEM. 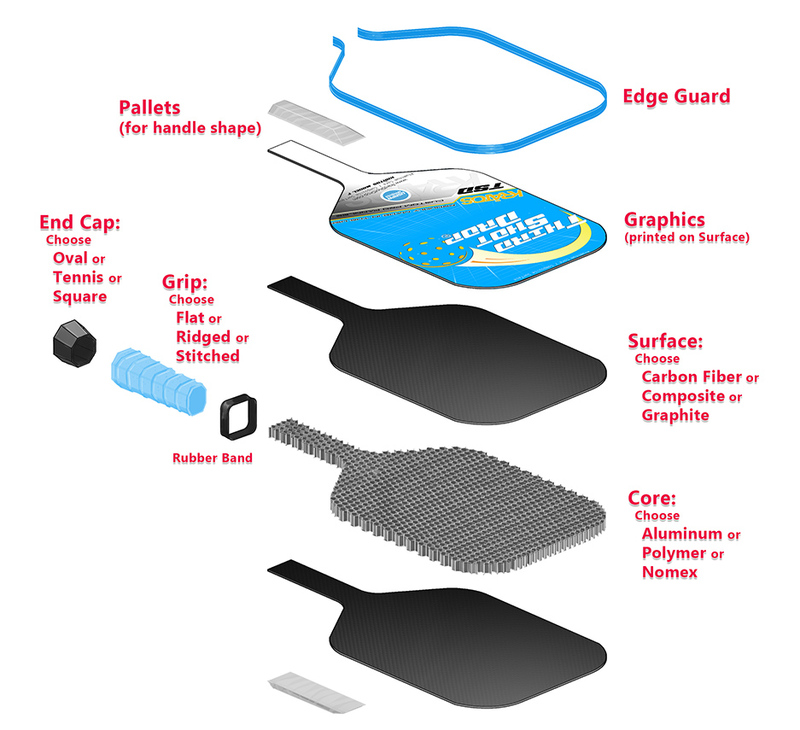 It’s not about the type of core or type of surface- it’s about the notion that there are different materials that affect the way their paddle performs and we are the ONLY company that offers this to every player. How important is warming up during a tournament? 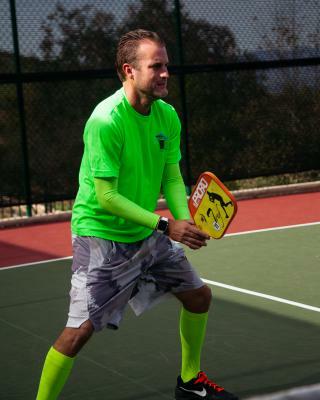 I think most pickleball players rarely spend enough time warming up during recreation play, but do they spend enough time warming up during a tournament. The average warm up during recreation play is roughly 37 seconds. During most tournaments you have 8 minutes to start your match once your name is called. Does this give you ample time to warm up? The answer is most likely not. Perhaps the MOST NEGLECTED part of improving your game is the most important part-- FOOTWORK! No matter how great your dinks, volleys, and groundstrokes, lazy/sluggish/slow/sloppy footwork will frequently result in loss of the point, and ultimately keep you “stuck” at your current skill level. Making less errors and hitting with power is predicated on your body being in a balanced stance and positioned to hit the ball in your power/comfort zone, which is one foot in front and no farther than one foot to either side. 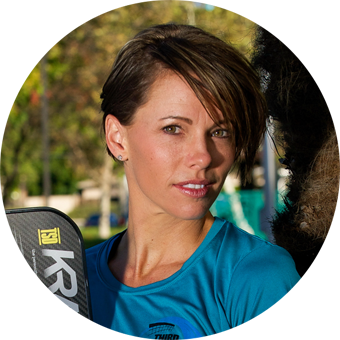 Ashley Roberts here with Third Shot Drop Custom Paddles. I am a certified personal trainer with 17 years of experience. Training is extremely important and should form an integral part of an athlete’s daily routine. Last month we talked about the foundation of your body. It is so critical to do corrective exercises and stretches to ensure the length/tension relationships between our muscles is balanced so that our Kinetic Chain is optimized to perform it’s best. 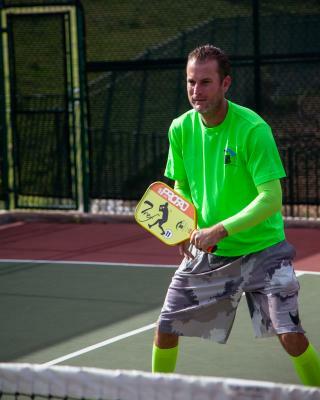 There are so many paddles each pickleball player has to choose from. Some are suited for them, others are not. We hear over and over from players - “I already have 5 paddles in my bag”. This tells us they are blindly searching, hoping to hit the bullseye in the dark with their eyes closed. © 2019 Third Shot Drop All Rights Reserved. Want to Join Team TSD? 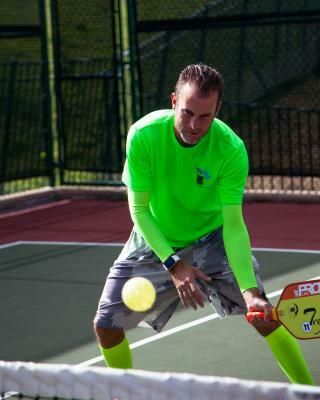 We are actively seeking avid pickleballers with sales experience to educate, demonstrate and promote Third Shot Drop pickleball paddles.